Thank you to the 80 runners/walkers that came out for our November installment in the TriCycle and Run FREE 5K Fun Run Series! 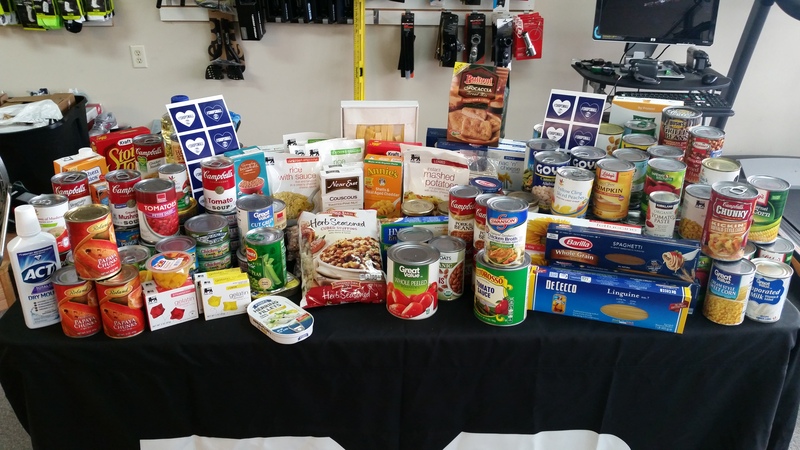 We’d like to thank you for your generous food donations that will go directly to the St. Michaels Community Center Food Bank to refill their shelves for the holidays! CONGRATULATIONS to everyone that finished today, and big congrats to our 2 official WINNERS of the race, Scott Ackerson and Elizabeth Griffin, who both ‘guessed’ their finish time within 10 seconds of their official time. Laura will have a special prize for you the next time you stop in the shop! Did you have a great time? Then be sure to join us on Saturday, December 17th for our 2nd Annual Ugly Sweater FREE 5K Fun Run!